Mick Taras has been a working musician since the age of 18. He learned about the music business immediately on his first professional job with the local band “Joe Perrino and the Mellowtones”. His career fully developed in California where he moved at the age of 25. After attending the “Musician Institute of Technology” in Hollywood, he built his career with hard work, humility and patience. The music scene in Los Angeles is so competitive that he had to learn pretty fast that in order to make a living as a musician you need more then your talent. Mick is today an accomplished professional still working hard to improve his life using his talents. His guitar can be heard in hundreds of records and movies (Undercover Angel, Blind Ambition, An American in China) and TV (Entertainment Tonight, Scrubbs, Greek) ; he is a teacher and a reference on how to use your talents to the maximum extent. He has toured, recorded and played with Faith Evans, Suzy Boguss, the Motels, Sara McLachlan, Five for Fighting, Elaine Page, Paulette McWilliams, Ken Burton, Melvin Lee Davis, Kenny Aronoff, Charles Billingsley, Tony Basil, Vanilla Ice, Thelma Houston, Ronnie Spector, Daniel Powter, Billy Dean. He has appeared numerous times on the Jay Leno show and was part of the house band for the 2008 season of The Gong Show on Comedy Central; other TV house band credits include smaller shows like “Secret Talents of the Stars” (CBS) and “Master of Dance” (TLC). 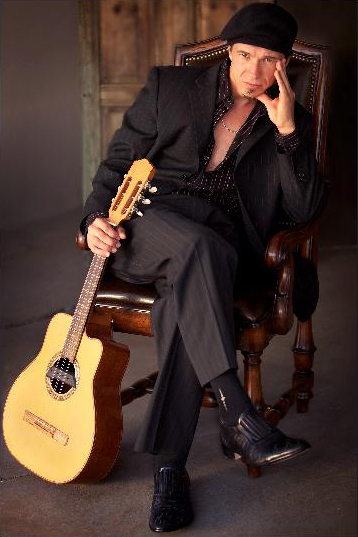 His teaching experience includes The Saddleback school of Music, the LA school of arts (LASA) and The Music Factory. Even though very well rounded in all styles of music he promotes himself as a bluegrass artist playing Guitar, Dobro and Mandolin on his records.